Vinyl sheet is not one of the more DIY-friendly floors. The biggest problem is cutting the vinyl sheet to the correct size, and cutting around awkward shapes, e.g. the basin and toilet in a bathroom. Sheet vinyl is also very heavy and extremely difficult to work with. 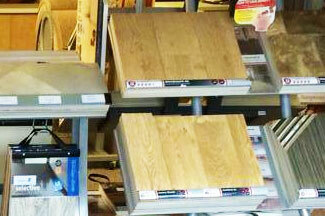 For this reason it is better to use a professional to install the flooring. 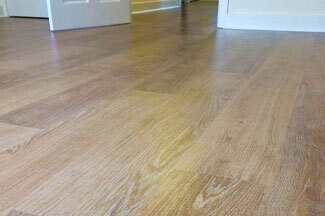 In all cases, the subfloor that the vinyl is to be installed on to must be flat and dry and most of all smooth. If not, an embossing leveller may need to be used to smooth over textured surfaces, patch irregularities or fill in grooves. If there are any irregularities on the subfloor the vinyl will crack and tear over time. 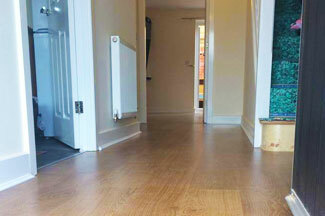 Due to the difficulties for inexperienced fitters we provide a high quality installation service. 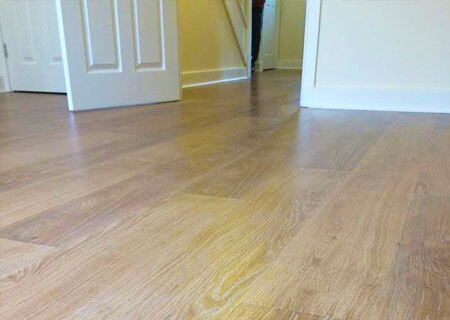 At R&S we provide experienced vinyl and carpet fitters for East Devon, so ensuring your brand new floor is installed perfectly, so there is one less thing to worry about. If you want to find out more about the installation service that we provide then feel free to give us a call today or come in to our showroom and talk to one of our friendly flooring experts.